Is Your Website Ready for the Holiday Rush? The holiday season is upon us with Cyber Monday right around the corner, one of the biggest traffic days for eCommerce businesses with a lot of promised revenue ahead. Indeed, it is on track to set a new record as the largest and fastest-growing online shopping day of the year with $7.7 billion in sales, a 17.6% increase year-over-year. We have even heard directly from one of our major retail clients that 40% of their annual sales occur between Thanksgiving and Christmas. That is an encouraging horizon, however, with plenty of fierce competition out there also expecting a sales boom, brands need to ensure they are in the best shape to handle the scale and bandwidth of the season and continue to offer excellent customer experiences. So, where should online businesses focus their energies for optimization before the shopping flurry? How do you ensure a prime digital experience for your rush of customers? As we already noted, good customer experience is reliant on the performance of your site. The best way to do this is by capturing and measuring the appropriate metrics for every user session so you can identify any slow pages, especially during critical steps like checkout. Create a performance specific dashboard for your team to monitor and understand if there are any areas for performance improvement before the bulk of the holiday sales. 69% is the current average e-commerce cart abandonment rate. That’s huge! 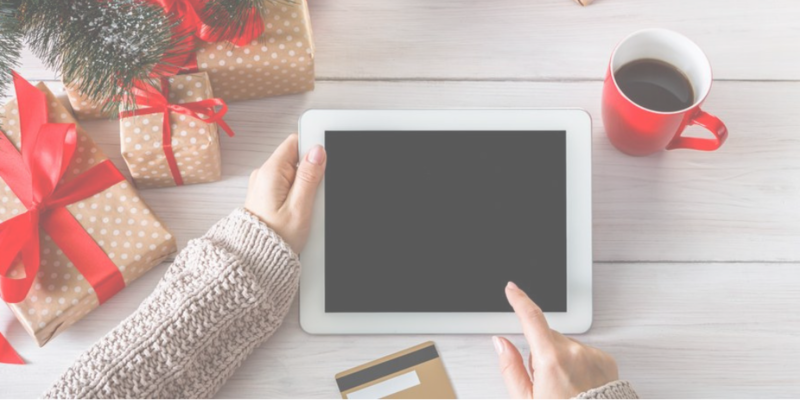 Even the slightest friction will push customers out the (virtual) door and onto the next site to find their perfect gift. Of course, due to constant updates and testing, a 100% bug-free perfect website is just not possible. But how do you decide which errors to hunt down first? A good decision factor to consider is understanding the overall consequences of the error--how many users is it affecting? How much is it impacting my bottom line? Once those questions are answered, then you can prioritize which issues should be fixed immediately and which can be added to the to-do list. It is best practice to get a thorough understanding of how your customers are navigating your site before they take the ultimate desired action (whether that be signing up, checking out, etc.). Noting the steps of each specific journey will enable you to discover drop off and highlight optimization opportunities. Does it take too many steps to reach the payment page? Is there any confusion or extra processes that can be eliminated from the flow? Try to streamline your journeys to ensure your customers reach what they want easily and to maximize holiday success. Outside of the overall journey, you should also drill down into individual pages to understand how users are interacting with each page and if there are any potential areas of improvement. However, the enhancement of the page should be driven by data and not just by ‘hunches.’ It is essential to link information such as clicks, bounce rates, and number of page visits with other key metrics like performance data, error rates, and conversion rates to help you understand the why behind the numbers and not just guess at solutions. Great UX is often marked by simplicity and ease. But how do you know if your customers find your site as intuitive as you think it is? Are they behaving the way that you thought they would? The best way to fully understand if your UX is being received as intended is by watching your users interact with your site in real time. It puts you and your team in their shoes so that you have the holistic view of their journey and you can propose optimal UX changes after knowing what they actually experienced. Our recent eBook, Delivering Extraordinary Digital Experiences, delves deeper into each of these areas of focus for customer experience and provides a great guide for ensuring your CX is up to the task of the holidays (or all year round!). Seasonal sales are not only a time of potential year-making revenue, but also a time to nurture loyal customers and ensure they return in the new year.